Toenail fungus, also known by its medical name “onychomycosis,” is a condition that is prevalent in 10% of the population. The nails tend to get brittle and discoloured (nails might look yellowish in colour or greenish and sometimes even black) and in some cases the nails may appear thick. Though the condition is not very painful, if the infection worsens it can result in extreme pain. Most people though wish to be rid of toenail fungus because it spoils their looks. The causes of toenail fungus are many. You can get infected by using public places such as swimming pools, public toilets, and baths. If you do not take care of your personal hygiene then you can get infected. If you have health issues like diabetes or immune deficiencies then you can get infected with this fungus. Getting rid of toenail fungus is not easy; you usually require treatment that includes antifungal medicines. Topical antifungal creams may be applied if the infection is not severe, but the treatment needs to continue long after the infection subsides so that there is no recurrence. If the infection is severe you may need to take antifungal medicines orally. You will be amazed to know that this cold and cough topical ointment is a good treatment for toenail fungus. Studies have found that Vicks Vaporub helps in getting rid of the fungus. You need to apply Vicks Vaporub on the affected nail twice a day for good results. Tea tree oil is a known antifungal and antiseptic. In many cultures this oil is used extensively to treat many ailments. The oil has been found to help people who have toenail fungus. For best results you need to apply the oil on the affected nail twice a day. Vinegar is the go to home remedy for many issues and it is believed that it is a good remedy for toenail fungus too. The therapeutic effects of vinegar help in getting rid of toenail fungus. Soak the infected nail in vinegar mixed with water for half an hour every day. In a few weeks you will have a toenail without any infection. Yes, you read that right, Listerine. Listerine has some active ingredients such as eucalyptus which are known to have anti-fungal properties. Soaking the affected nail in Listerine has helped people get rid of the fungus. Everyone knows the medicinal effects of garlic. It is an anti-fungal and helps in treating all kinds of infections. You need to crush the garlic and place on the affected nail for 15 minutes every day and you will see the changes in a few weeks. If possible you can also take garlic orally and this will also help you as you will see the toenail getting better over time. A majority of hospital beds for home use are height adjustable, electric and wooden, and also will usually come with a profiling mattress platform. After that, there will be a wide range of options that are available as well. 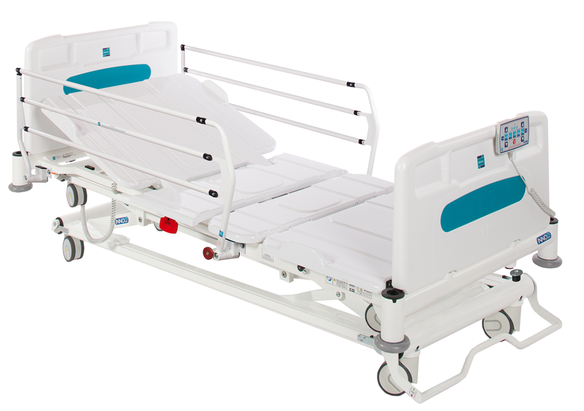 The hospital bed can be equipped with a low height range, tilt/Trendelenburg feature, in various wood colors or side rails. Make sure to have a list of your must-have features (e.g. height adjustment, side rails) as well as bonus features (e.g. low height range, dark wood color). That will help you be clear about what you are looking for when shopping for a hospital bed. A majority of hospital beds for the home come with a profiling function. It includes an adjustable mattress platform (which is the base for the mattress to sit on top of) that profiles so that the user can sit up in bed, and it also raises their legs and knees. 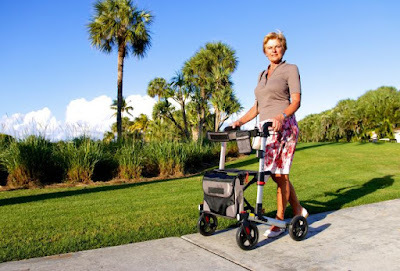 There is a head or backrest with a profiling mattress platform along with a leg raiser and knee break that is electrically operated through the use of a remote handset. This helps the caregiver in addition to the users because it allows them to get the user positioned to easily nurse the person. A bed's height range is determined by measuring the mattress platform's distance to the floor with the bed at its highest position and lowest position. So if a bed can be lowered down to 40 cm away from the floor and also raised up to 80 cm away from the floor then its height range is 40-80cm. Usually, a good height range for a standard-height bed is about 40cm-80cm. A low hospital bed is quite similar to a regular standard-height style, but it just has the added ability to be lowered a lot closer to the floor. A low bed can typically be lowered to about 20-25cm off of the floor. The short distance helps to reduce injury and impact from a fall, which makes them a very good choice for a user who has a tendency to fall out of bed. In care homes, low beds are becoming more and more popular as an alternative to side rails, and they are very effective for home use as well. This position refers to when a bid is tilted in a backward position with the user laid flat out on their back and their feet are raised higher than their head. In 1881 the Trendelenburg was created to improve the pelvic organs surgical exposure and is used today still for various medical conditions. The Anti-Trendelenburg is the opposite Trendelenburg position. That position is where a bed tilts forward to keep the feet lower than the person's head. Anti-Trendelenburg can provide added comfort, and allow the user to sit in a nearly seated position when there is a fully profiled mattress platform. Purchasing a hospital bed is an important ask and frequently a "one-off" investment, which means you definitely don't want it to be a poor quality product that gives out after a few years of use. When you are shopping online, be sure to check out the quality of the hospital bed before checking the price. Select a bed that has at least a 2-year warranty, and 3 years ideally. Make sure that labor costs are included by the supplier in addition to parts as part of the warranty. The right hospital bed for you is one that is high-quality and has a good warranty from a reputable supplier. One major concern that numerous people have when purchasing a hospital bed for home care is whether or not medical equipment such as this is going to look unwelcoming and cold inside of their home. Although many hospital beds have an uninviting and cold appearance, some manufacturers do take great pride in producing beds with nice designs. Typically a designer bed will be more expensive, so if you are on a tight budget, choose a bed with custom wood colors that will blend the hospital bed in with your existing furniture. Purchase attractive bedding, cushions, and bed throws for the hospital bed to ensure that the room looks warm and welcoming. Purchasing a hospital bed for your home shouldn't be done casually. You will want to ensure you get the maximum from your purchase. So that is why you need to choose a reputable supplier that will provide you with the service that you need. Drive DeVilbiss Healthcare Equipment has a good reputation. This is almost as important as the actual hospital bed. Select a supplier that provides great delivery and installation services. Also, ask if they have a good warranty backing their hospital beds. Find out what aftercare services the supplier offers and see if they have any reviews and testimonials that you can check out. If the mattress will be purchased at the same time as the bed, try to find a supplier who you can buy both of them from. That way, you won't have any confusion between products from two different suppliers in case anything goes wrong (for example, complications could arise if a fault with the hospital bed were to damage the mattress). Make sure there is a warranty on the mattress and that it appears to be of high quality. Also, make sure that the supplier is able to provide you with the information you need regarding what pressure the mattress should be at in order to suit the needs of the user. After you have decided on a supplier and bed, find out what will need to be done in order to get the hospital bed to your house and get it operational. The first thing you need to do is decide whether you will have professionals install the bed or you will do it yourself. If you would like to have the bed installed for you, find a supplier that provides professional installation. If you prefer doing it on your own, ask the supplier whatever questions you have about what is involved in the installation process. Make sure the bed comes with installation instructions and a detailed instruction manual. It is easy to think that your health relies completely on your medical practitioner but that is not the case. Health is an all-encompassing issue that must be addressed a number of ways. The following are three toxic things Australians need to pay attention to, even though they may not seem health-related. Bullying is definitely something parents and children worry about, but they may not stress how damaging this act can be. What is worse is the bullying phenomena has expanded beyond school yards or parks. Kids, teenagers, and even adults are exposed to bullying in various ways, like through social media. This kind of taunting has been linked to a number of long-term health issues that should concern everyone, such as obesity, drug abuse, and overall poor health choices. Parents, employers, and other people in positions of power need to nurture a culture that does not allow bullying or addresses it firmly to prevent these types of outcomes. People should consider constructive confrontation and contacting the Australian Human Rights Commission to report the incident. Financial stress may not seem related to health, but this feeling can lead to a number of psychological and physical manifestations that no one should have to deal with. At the moment, more people are considering letting go of their private care insurance because premiums are too high. This is no good since the overall health of a family depends on continual attention to preventative care amongst other factors. The problem is that some people are simply not aware of other good and affordable options. For example, a family can compare health funds from good member-owned private insurance companies. These companies are normally non-profit organizations, which means members get to save on their premiums. The number of options available is growing, giving people the opportunity to compare options until they find one that meets their needs. This is one effective way to fight the financial stress high premiums cause families. It is likely that boredom is not the first thing that pops into the mind when thinking about overall health but it should. A study shows how those who suffered from boredom were often linked to more heart attacks compared to those who were less bored. Now, this does not mean boredom needs to be demonized because it is only a specific type that is hurtful to a person called reactant boredom. The reason this specific feeling is so destructive is because the person that feels it normally links it to additional negative feelings like stress, anger, and restlessness. These types of feelings may lead some of these individuals to pick up bad habits, such as smoking or other destructive behavior like eating junk food. It should be noted that there is a second kind of boredom usually referred to as the indifferent form, which may lead people to be more creative through daydreaming. Being aware of this issue should help some be more equipped to deal with it. For example, healthier snacks can be kept at home instead of junk food, or exercises like yoga can help fill in those boring moments. You may not think a health care practitioner can help you deal with some of these issues but that is not the case. Health care specialists are aware of the problems that could affect a patient's overall health. Do not be afraid to discuss some of your fears or concerns with him or her to figure out a solution together. All of these points may make health care feel overwhelming, but just try to remember that improving your quality of life really has everything to do with finding as much joy as possible. When analyzing this modern day environment, it’s almost terrifying how many toxins people are exposed to on a daily basis. The city pollution which one breathes into their lungs. The exceedingly processed foods one finds on every shelf in the supermarket. Even the water that comes from the taps has a worryingly extensive list of potential contaminants. And, of course, there are the toxins people intentionally expose themselves to, fully aware of the side effects, including alcohol, caffeine, cigarettes, and assorted medications. 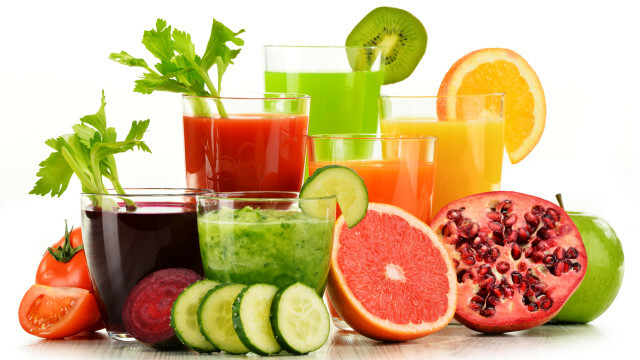 It is important to flush these poisons out and renew yourself with a full-body cleanse every once in a while. What’s more, this process doesn’t have to be a strenuous undertaking of tortuous deprivation either. With a few simple adjustments, you will find that you are giving your body exactly what it is asking for, leaving you with more energy and less weight after surprisingly little effort. Sound good? Here is everything you need to know in five easy steps. Start each morning with a tall glass of water and half a fresh lemon squeezed into it. This will not only hydrate you but will also alkalize the body with antibiotic and antiseptic properties, fighting off germs whilst aiding digestion. You should also continue to drink as much water as possible throughout the day. With that in mind, detox teas are also a tried and tested method to hydrate you with antioxidants whilst perking you up sans the twitchy coffee kick. Detox or not, you should always be looking for food groups which are high in protein and fiber to keep your system regular. Whole grains, beans, nuts, and seeds are all your friends in this time of need but don’t forget to load up on raw vegetables and herbs too, as they replenish your digestive enzymes without any calorie worries whatsoever. Naturally, smoothies are almost synonymous with detoxification these days, so blend up your favorite fruits and veg, keeping a handful of kale, spinach, and ginger close at all times. Finally, the probiotics found in Greek yogurt encourage the growth of good gut bacteria, which attacks the bad bacteria and keeps your intestines flowing. There are plenty of foods you should be avoiding too, the worst of them all being sugar. These sweet carbohydrates (especially of the white variant) place a lot of strain on your pancreas, which can wear you down, pump up your weight, and may even lead to diabetes. If you suffer from an uncontrollable sweet tooth, seek your fix from honey or dates instead. Another particularly bothersome adversary would be that of white flour. This substance is can cause your digestive system to slow down, and potentially provoking internal irritations and/or other disorders. Remember to always go whole grain with everything, and look out for alternative flours such as quinoa, brown rice, or spelt. Bonus tips: cut down on all things meat, and fend off oils that feature toxins (such as vegetable, peanut, or sunflower) opting to use extra-virgin, hemp, or coconut instead. What you put into your body is only half the battle, as you will also need to wake your system up by forcing a faster circulation and sweating out those toxins you’ve already trapped inside of you. And that’s where exercise comes in. Thankfully, these days, there are endless methods to make working out fun again. Jumping on a trampoline, for example, is proven to get the fluids moving whilst activating your detox organs, which is extremely useful for those who suffer from a slow lymph system. Other widely recommended detox exercises include running, cycling, swimming, and yoga, but anything that gets you perspiring and breathing faster will help you in this mission. Who says detoxification has to be miserable? There are loads of luxurious cleansing paths one can pursue which will bring you relaxation and comfort, such as the sauna. This temporary increase in body temperature may help kill harmful bacteria, whilst the excess of sweat pouring from your skin is a great way to force these viruses to vacate. Other enjoyable ways to spoil yourself could be to exfoliate your skin, which will get rid of all the dirty bacteria your toxins have left behind. You could also pay for an oil massage to stimulate your circulation if you’re feeling particularly fancy today. Finally, get some rest! The more you sleep, the easier it is for your body to reset itself, and so by dedicating some extra hours to your snooze period, you will live a healthier life with literally no additional effort required. The heart is one of the most important parts of the body. Taking good care of the heart reduces the risk of some of the fatal conditions such as heart attack, high blood pressure, and stroke. 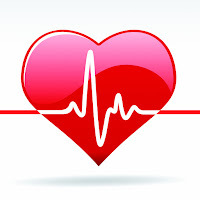 Proper nutrition and regular exercise are some of the commonly known ways to maintain a healthy heart. 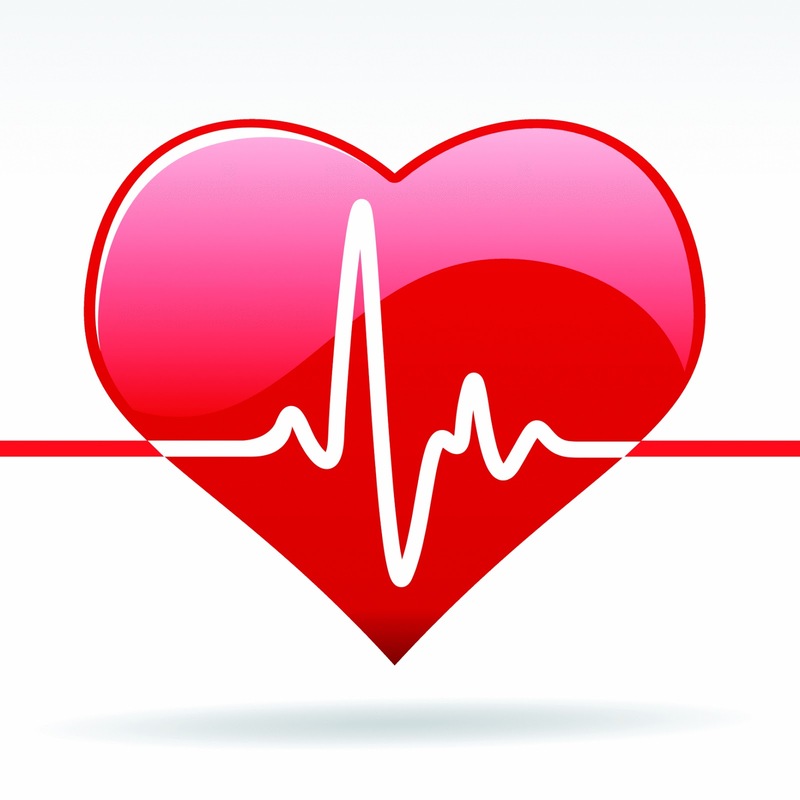 Although useful, these practices aren’t enough to guarantee a healthy cardiovascular system. Discussed below are five other crucial ideas to incorporate into your lifestyle to help promote a healthy heart. Fats are needed for various purposes in the body. Nevertheless, only polyunsaturated, unsaturated, and some saturated fats are needed for multiple cellular processes and body functions. Trans-fats are however not required in the body as they only increase the risk of contracting heart disease and even stroke in the long run. Trans-fats are known to clog blood vessels (arteries and veins), raise LDL levels and lower good cholesterol levels in the body. Avoiding foods high in these fats reduces the risk of contracting most heart-related conditions. Focusing on healthy fats alone helps improve blood flow as well as heart health. Trans - fats are commonly found in processed foods, packaged foods, margarine, deep-fried fast foods, and snack foods. Food processing companies use these fats to add texture and flavor to the foods. Your dental hygiene has a big say in your overall health and especially heart health. Individuals with gum diseases and infections are at the highest risk of suffering a heart attack as compared to those with healthy gums. According to research, periodontal-causing bacteria can move into the bloodstream causing inflammation of the blood vessels. The bacteria causes the elevated production of C-reactive protein in the same, thus the inflammation. Inflammation in blood vessels is one of the leading causes of stroke and other heart diseases. Make it a habit of brushing your teeth twice a day, and flossing daily to get rid of such bacteria. Doing so will not only protect you from tooth cavities but also safeguard your heart health. In addition to eating healthy and exercising regularly, doctors advise us to get at least 8 hours of sleep every day. This is because rest is essential for your overall health. It is while we sleep that body cells rejuvenate and even recover from strenuous activities. Your heart rate also slows down significantly while you sleep. This helps muscles around the heart regenerate as well. Not getting enough sleep only overworks your brain and the heart. Research also shows that lack of sleep does cause inflammation to blood vessels. Make it a priority to get at least 7 hours of sleep to reduce the risk of high blood pressure and stroke. People that lead an active life on their feet have a lower risk of contracting a heart condition as compared to those who spend more than 6 hours seated at a sedentary job. This is regardless of whether you exercise every day or not. For this reason, health experts recommend leading a proactive lifestyle and avoiding staying up in one place for more than 3 hours. This is because remaining seated for long hours puts you at a risk of contracting deep vein thrombosis, commonly known as a blood clot. Avoid sitting for long hours by standing up between work shifts, stretching, take the stairs, and even find the farthest spot to park your car. Regular muscle movements will do your body justice in the process. Smokers and those exposed to second-hand smoke have an approximately 25% chance of developing heart disease. Statistics released by the American Heart Association show that at least 7,300 people die of lung cancer, with approximately 34,000 premature heart disease deaths linked to tobacco smoke and exposure to its fumes. Even nonsmokers with high blood pressure, but exposed to secondary tobacco smoke have twice the risk of contracting heart disease. This is mainly because the tobacco smoke alone contains more than 22 toxic chemicals and compounds that can cause cancerous cell development. Cigarette smoke is also known to cause a plaque in the arteries as well. These are some of the reasons most states have banned cigarette smoking in public places. You too should be stern when someone tries to smoke around you. If you do smoke then try and quit. A lot of people find vaping can help with this and SIMPLY Fruit ejuice is one of the many flavors that can help you do just that. Follow these tips for a healthier heart, and possibly longer life. Don’t forget to choose your foods wisely, and especially go for whole organic foods. Stay away from processed foods and anything else loaded with preservatives, chemical salts, and trans-fats for a healthy heart. This is a guest blog entry.. Muscle and bone strength aren’t the only requirements for body movement. You also need balance and coordination to help you maneuver and change directions with ease. Balance problems, however, affect more people than you might think. In fact, approximately 69 million adult Americans manifest signs and symptoms of balance problems including 1 out of 20 children. Some balance issues may not be serious but severe cases can warrant treatment especially if the problem involves the musculoskeletal organs, the brain, or the heart. 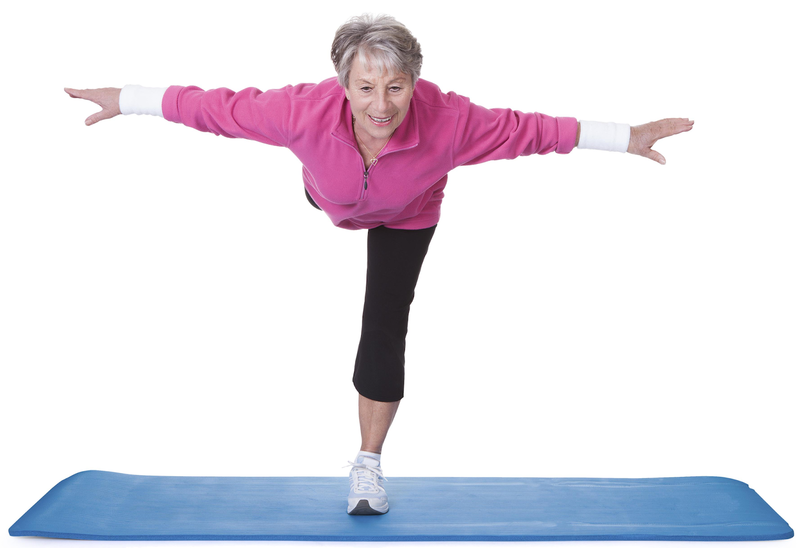 Balance problems also increase your risk of suffering from fall-related injuries and associated complications. For these reasons, it is critical that you see your doctor as soon as you experience any form of balance difficulty. You may need to undergo various tests to determine if it is caused by an ear infection, a lower extremity injury, or if it’s a sign of something that requires immediate medical care. You might need to use a walking cane for added support and balance when carrying out everyday tasks and to ensure your safety. To supplement your treatment and improve your balance, try the following exercises. Before you proceed, however, talk to your doctor about your physical limits and which exercises you are allowed to perform. 1. Stand on one leg and hold it for 30 seconds. Do the same on the other leg. If you can do it with ease, try standing on an uneven surface with your eyes closed. 2. Stand on a balance disk and steady your feet a shoulder-width apart. For two minutes, rock forward, backward, and then from side to side. 3. Your feet should be hip-width apart. Slowly shift your weight to the right side by lifting your left foot off the floor. Hold it for 30 seconds then go back to your starting position. Do it on the opposite side and repeat as many times as you can. 4. Walk heel to toe 20 steps forward and another 20 steps backward. It should be in a straight line (left heel directly in front of your right toe and vice versa) and you should be looking straight ahead. 5. Keeping your feet one foot apart, put your hands on either side of your hips. Lift your right leg off the floor while bending your knee. Hold it for 30 seconds before slowly lowering your leg. Do it on the opposite side and repeat for 10 times. 6. With your back straight, stand on your right leg and lift your left leg six inches off the floor. Swing it forward and backward then with your right arm out, swing the left leg to the left side. Do this on the opposite leg and repeat for 3 times. 7. Stand on one leg with your back straight and your hands on either side of your hips. Point one arm overhead first, then to your side, going lower, to the opposite side, and back up again, like you are tracing an imaginary circle. Repeat using the other arm and leg. 8. Lift your heels off the ground while keeping your feet together. Tiptoe and reach your arms out to your sides. Move your arms an inch forward then an inch backward. Repeat for 25 times. Stretch your arms overhead and move forward then backward. Repeat for another 25 times. Plant your feet one foot apart, keep your arms out, and your back straight. Slowly lower yourself to the ground by bending your hips and knees. When your thighs are already parallel to the floor, slowly go back up. Keep your core tight all throughout the routine. Repeat 10 times for each set and try to go for at least 3 sets. Balance on your right foot then bend your waist forward, engaging your core. Reach your left hand toward the ground and slowly lift your left leg until it reaches the level of your buttocks. Then lower it back and return to your starting position. Place your elbows on a balance disk and assume a planking position. Engage your core and maintain proper alignment of your shoulders and hips. Do this for as long as there’s no discomfort. Hydrate with water before, during, and after your workout. For additional safety, have a workout buddy, a friend, or a relative assist you when doing these exercises until you can already do it on your own. If you feel any form of discomfort or difficulty while performing them, stop the activity immediately and have a rest. Remember to increase your exercise intensity gradually to prevent injuries. When you or one of your loved ones needs to visit the doctor or spend some time in the hospital, you expect the health professionals to be there to help you and make your situation better. However, unfortunately, this isn’t always what happens. Sometimes, medical professionals do not always provide you with the due care and attention that you are entitled to whilst receiving medical treatment. Medical professionals do not always take the appropriate action or can make mistakes which result in illness, injury, or even death. When this happens, you have experienced a medical malpractice incident. However, the good news is that after going through such an experience, it’s possible to get help from a qualified solicitor to seek justice in your case and gain the compensation that you deserve from the medical provider who let you down. Here are some of the biggest signs of medical negligence UK to look out for. If you suspect that you or somebody close to you has been a victim of medical negligence, the first thing to do is think about whether or not proper treatment was received during the healthcare experience. If you feel that the treatment fell short of what is expected, this is a strong indication that you should speak to experienced medical negligence solicitors to determine whether or not medical malpractice has actually taken place. Medical negligence during healthcare could include being prescribed the wrong medication, having the wrong type of surgery, or simply your needs going ignored. Bear in mind that the recovery process from a surgical procedure is different for everybody and it’s sometimes normal for certain complications or issues to arise after going under the knife. However, this should only be within the given recovery time and it will usually not cause any serious health problems for you. For example, temporary pain, discomfort, swelling, bruising or immobility after surgery tends to be a normal part of the healing process. However, if you have had surgery and feel worse, or are still experiencing major complications long after the given recovery time, this could be an indication of serious medical malpractice. Don’t suffer in silence – speak to professionals such as those at the-medical-negligence-experts.co.uk, who provide contact details for an expert that will be able to provide you with all the information that you need on medical negligence claims UK and what you should do to get the compensation that you deserve. Another strong indicator that you may have been a victim of medical malpractice is if you received the wrong diagnosis for a condition that you are or were suffering from. If you have spent a long time receiving treatment for one condition, only to find that it’s not working or even making you feel worse, then it’s likely that you have the grounds to make a medical negligence claim. This is especially true if an incorrect diagnosis prevented you from getting the correct treatment for your condition or ended up causing you some sort of harm. If you were taking prescribed medication that you did not need, it’s certainly worth speaking to the best medical negligence solicitors to determine the best next steps for you to take. Did something feel ‘off’ when you were prescribed medication or given another course of treatment for your illness or injury? Whilst the right medications, surgeries, and treatments are usually given to patients, there are occurrences where medical professionals can make mistakes, which results in the patient receiving the wrong type of treatment for their condition. In most cases, this is an example of gross medical negligence, as not only can the wrong treatment prolong the suffering of the patient, it also has the potential to worsen their condition or cause further complications that would not have arisen otherwise. If you think that you’re taking the wrong tablets or have been given an unnecessary type of treatment for your condition, it’s a good idea to get a second opinion from another medical professional before speaking to experienced medical negligence lawyers about the potential to make a claim. For certain health conditions, there isn’t always one treatment option – often, medical professionals will need to use their skill and expertise to make an informed decision when it comes to prescribing the right course of treatment for you. However, this should be closely monitored to ensure that you are receiving the benefits of treatment, and further alternative options considered if the results are not as expected. 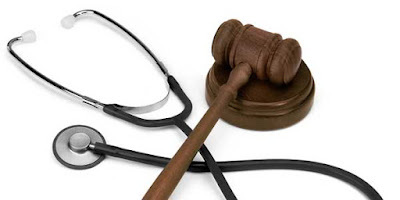 However, this isn’t always the case – many medical malpractice claimants go to court because they have spent a long time receiving treatments that are ineffective. If you have recently received medication or undergone some type of treatment that doesn’t appear to be providing the expected results for your health, this could be a sign that medical malpractice has occurred. However, bear in mind that certain treatments take a while to start working. For example, antidepressants are notorious for taking a long time to work. Make sure that you have been receiving the treatment as directed for at least a few weeks – if there is still no improvement, contact medical negligence solicitors to get information on making a claim. When your doctor or other healthcare provider orders a new course of treatment for you, they should always advise you to make and attend a follow-up appointment. At this appointment, they will talk to you about the progress of your treatment and listen to any concerns that you may have about it, before providing you with advice on the best steps to take for the future, whether that’s to continue with the original treatment or consider switching to a new one. Being left on your own with no follow-up appointment after being prescribed a new treatment can often translate to medical malpractice, particularly if you have been given a treatment with known side effects or have found it difficult to make your concerns heard after taking the treatment. If you’ve been left to deal with a new treatment by yourself, medical negligence lawyers can help you determine if you have a claim. If you’ve been for all the examinations and tests that your doctor ordered but still haven’t received a solid diagnosis, then you could be a victim of medical negligence UK. Although certain conditions may take a while to properly diagnose, if you feel that your diagnosis is taking too long and preventing you from getting the right treatment for your condition, then you may have grounds to make a claim. In some cases, taking too long to reach a diagnosis means that the patient’s condition worsens, resulting in them requiring further and more intensive treatment once a conclusion has been reached. If you feel that your diagnosis has taken so long that you’ve gotten worse, it may be worth reaching out to a medical malpractice solicitor for advice on what to do next. These are just some of the most popular reasons for medical malpractice claims in the UK. If you feel that you’re not receiving the care that you deserve from your doctor or another healthcare professional, seek legal advice today. Low back pain plagues much of the country, with nearly two-thirds of adults complaining of it at some point in their life. If you’re not interested in taking traditional painkillers to relieve your lower back pain, you might want to consider trying one of these five surprising treatments instead. Regular meditation has been shown to reduce the severity of all types of chronic pain, including lower back pain. Experts believe that meditation can be beneficial because it helps practitioners direct their attention away from the pain and calm their minds. Meditation also helps reduce muscle tension, decrease the heart rate, and slow respiration. All of these things can help naturally minimize pain as well. Meditation can be intimidating at first, which is why many people tend to shy away from it. If you’re interested in giving it a try, don’t make it more complicated than it needs to be. Download a guided meditation app, or simply set a timer for one minute and spend that minute sitting quietly while focusing on your breath. That’s all there is to it! Over time, you’ll get more comfortable and be able to increase the duration of your meditation sessions. This may seem counterintuitive at first. After all, isn’t exercise going to make your pain worse? Research shows that moderate exercise helps reduce low back pain. There are several reasons for this. First, regular exercise can help lower your body weight. This, in turn, decreases the amount of pressure being placed on your lower back. 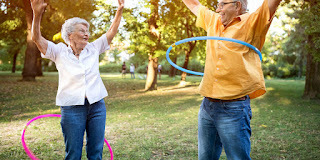 Exercise can also help improve your strength and flexibility, so you’ll be better able to support yourself and avoid injuries during day-to-day tasks like cleaning the house or carrying groceries. Some good, low-impact forms of exercise to try include brisk walking, swimming, moderate resistance training, yoga, or tai chi. Do you spend hours a day hunched over your computer? Practicing proper ergonomics at work will help you keep your shoulders, back, and neck healthy and mobile. Acupuncture is an ancient form of medicine that involves inserting thin needs into pressure points throughout the body. By doing this, acupuncturists are able to remove energy blockages that may be causing pain. Like meditation, cognitive behavior therapy is another option for indirectly treating low back pain. A one-year study found that patients who combined traditional treatment methods with three months of group cognitive behavior therapy saw twice as much relief in their chronic low back pain compared to those who only used traditional methods. Researchers don’t believe that back pain is purely a psychological problem. However, they do believe that, by changing the way they view their pain, patients can do a better job of managing it. During group cognitive behavior therapy, patients focused on identifying negative beliefs about themselves and their pain and changing those thoughts to reframe them in a more positive light. After the study, nearly 60 percent of participants said that they no longer had any low back pain, and 65 percent said that they were satisfied with their treatment and the reduction of their pain. If you’re struggling with low back pain, consider one of these five unique treatment methods. Sometimes, you need to look beyond the physical problem in order to find the right solution. 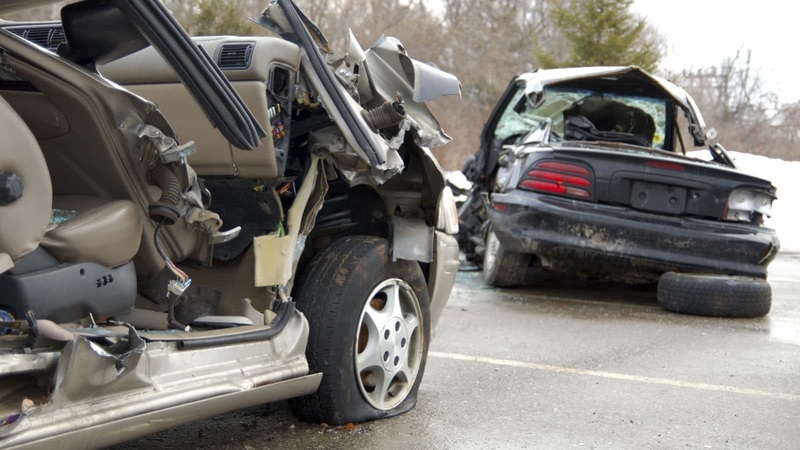 Thousands of people are injured in car accidents every year. With the number of drivers on the road, it can be really tough to avoid becoming one of the statistics. 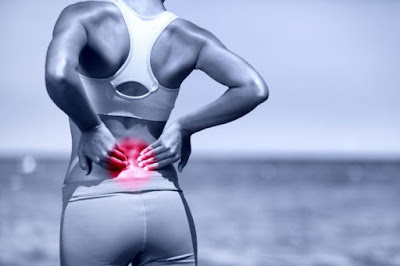 However, you do not have to suffer like those who are injured with low back pain. Rather, you can take a proactive approach to healing yourself quicker and getting back on the road to recovery. By using these ways to recover, your medical complications after an accident will be significantly reduced. Many vehicle owners try to avoid the emergency room. Even for minor accidents, an emergency room can do all the proper checks required to ensure the best treatment possible. Sometimes, there are “hidden” injuries (e.g., a broken rib) that are not identified until weeks later. Rather, an initial visit to the hospital could reveal any potential injuries that could get overlooked at a regular doctor’s office. Immediately, you will feel a rush of emotions. It’s important to keep yourself in check. Yes, accidents can be a traumatic event. If you would like to get past these emotions sooner, you must make the effort to identify any anger, irritation or sadness. Remember, accidents happen to everyone and the situation should get better. One goal should be to learn from the experience and move forward. It is important to be conscious of your emotions in an attempt to try to get over the emotional trauma. After such an event, you need to just take time to yourself. Sometimes, you need to rest, relax and let time heal things. Focus on how you are feeling, eating well, and sleeping properly. Do the basics right to ensure that your body and mind can recover from the event. It will help you heal faster and start doing things that make you feel better. Next, you should follow the plan set out by your doctors. They will give you medications, exercises, therapy and other strategies to help your recovery. Of course, these will only work if you follow the plans strictly. A proactive and sincere approach to your health is essential. Make a schedule and document all your information. This will help you in case you decide to contact an Atlanta car accident attorney later on. Stick to your prescribed plan and you’ll start feeling better sooner. With the approval of your medical practitioner, practice stretching your muscles and breathing deeply. These two activities will focus your mind, keeping you calm. Additionally, they relax the body which can facilitate recuperation. Stretching and breathing may also reduce soreness and take your mind off of any discomfort when doing lower body exercises. Surely, these practices can have lasting positive effects on your health as well. Injuries of any capacity can be demoralizing. In this case, it might be a very traumatic experience. Take care yourself by getting properly checked out. Then, win the mental battle and follow your plan for a full recovery. Get plenty of rest and the recovery process will go much quicker compared to if you are worrying about it the entire time. Here’s to your successful and fast recovery. 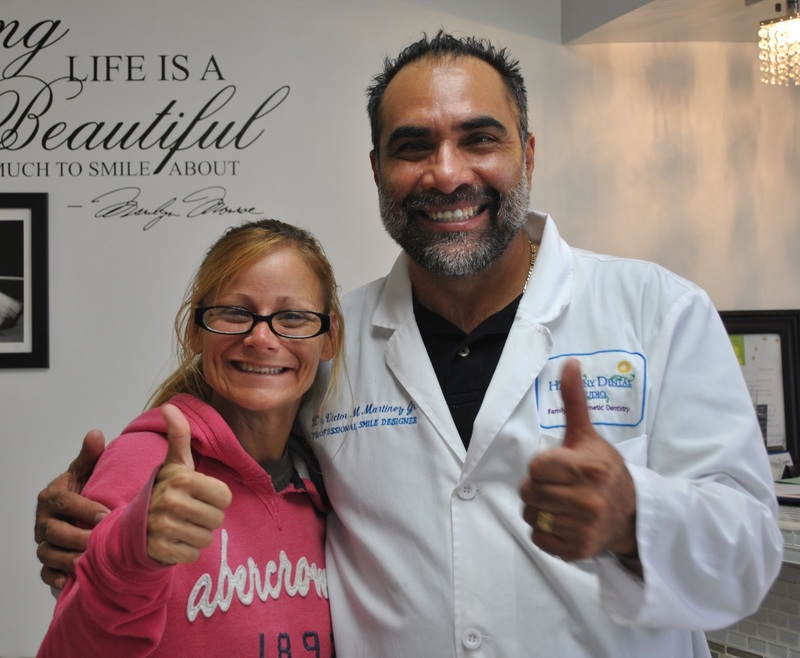 Are you thinking about getting a dental treatment in Tijuana, Mexico? If yes, there are some myths about dentists in Tijuana that you should know about. Whether you need veneers or dental implants in Tijuana, it’s best that you see the truth behind some of these myths and misconceptions. Let’s see 4 of the more familiar ones. The lower dental prices in Tijuana cause many people to doubt the quality of clinics there. This is a common misconception which to some extent is understandable – price often does signify quality. Thankfully, this isn’t the case in dental tourist destinations such as Tijuana. While there may be some clinics that aren’t up to the mark, there are plenty of top-notch quality clinics in this Mexican city. Similar to the myth about the clinics, this one has people questioning the competence of Mexican dentists. The reality is that there are a lot of exceptional dentists working in Mexican destinations such as Tijuana. Many of them have received all or part of their qualification and qualification in the US. This goes to show that you can be in good hands when you travel to Tijuana for your dental procedure. While some people question the existence of reliable dental clinics in Tijuana, some believe that it’s almost impossible to find a good clinic. This is also understandable to an extent. But thanks to online resources such as Dental Departures, you can easily research, shortlist and choose the most suitable dental clinic for your needs. This myth targets not just Tijuana but Mexico in general. It implies that Mexico is an overall unsafe country and that you’re risking your life by traveling there. And this misconception is also often highlighted in popular culture, like in movies and TV shows. In reality, Mexico is safer than ever. For instance, consider the fact that the number of tourists to Mexico keeps increasing every year. Or that Mexico’s economy continues to evolve into on important one. Moreover, the drug-related violence is mainly restricted to drug gangs who target each other, not tourists. Dental tourism is becoming increasingly popular as more people are realizing the reality behind myths such as those discussed above. Every year, more people from the US visit dentists in Tijuana and return home quite satisfied by the dental treatment and savings. Keeping track of your weight is important for your overall health, especially if you’re already overweight. While obsessing over the numbers on the scale isn’t necessarily healthy, having a scale around can boost your desire to keep fit as well as alert you if you’ve recently gained some extra weight. A 2017 study conducted at West Virginia University showed that those who kept track of their weight at least five days a week experienced sustained and significant weight loss over a period of time compared to those who were inconsistent in tracking their weight or had done it fewer than five days a week. When it comes to tracking your weight loss at home, there are many scale options available to you - from the digital bathroom scale to a wireless Bluetooth body weight scale paired with a weight tracking app, or a scale that tracks hydration, muscle and bone mass. Self-monitoring by maintaining a daily calorie log and sticking to a regular exercise routine, along with self-weighing are great tools that can be beneficial for weight loss. Setting small milestones and goals for yourself like losing one pound a week may give you a sense of accomplishment that can snowball into greater positive benefits over the course of your weight loss program. Making it to the gym and or playing a high-intensity sport three times a week is a good start too. After you have achieved this goal, you can boost it to four and then five days a week. With each achievement under your belt, you might feel a great sense of empowerment. Stronger mind equals stronger body and vice versa. When you record your diet and track weekly weight loss it can tend to become a sport in your mind. This can serve as a motivational tool for you to succeed and compete against yourself or compete against your goals so to speak, which could possibly push you to go above and beyond and get results faster. Think of your daily calories as your opposition, and your scale as the last defender before you score the winning goal. Approaching each week as one game can go a long way in helping you to achieve your weight loss goals. 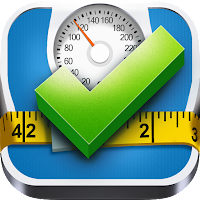 Keeping track of your weight loss can also help to avoid hitting peaks and valleys. Maintaining a steady course during your weight loss program can help reduce the “yo-yo” effect, which may lower the risk for developing type II diabetes and cardiovascular disease. Your scale is another way to protect against the “yo-yo" effect. You’ll be able to see any spike in weight gain and subsequently make the right adjustments before it becomes a bigger issue. The world today has become one of instant gratification. Perhaps tracking your weight loss and daily fitness routine can provide you with instant gratification in a positive way. Seeing the results of each and every day of hard work and discipline can only help to motivate you for the next day and so on while giving you a sense of accomplishment. Keeping a daily food diary can help you become more educated about your health. You may see differences in what certain types of foods do to, and for your body. You’ll also learn how to gauge portion size which can be a great tool in reducing weight gain. You could also possibly realize that you’ve been taking in double the grams of carbs you should be ingesting. Coming to this realization may help you lose excess weight. As always consult your physician before starting any diet or fitness program. Already this winter, many Americans have endured much colder weather than normal. With sustained warmer weather still several weeks or months away, a quick trip to some place warm and sunny is often just what the doctor ordered, especially for people with limited mobility. The Americans with Disabilities Act gives mobility-impaired individuals the right of equal access to all public facilities. However, a company may not necessarily give it to you just for the asking. So, before you book those travel plans, here are a few things to keep in mind. Describe the trip in detail, including destination, travel time, length of stay, mode of travel, and possible activities. A family physician is a great resource in this area, especially if you aren’t used to traveling with mobility impairments. Ask the doctor for a letter describing your condition and your physical limitations. This letter could be important both for hotel/transportation facilities and any planned activities. The correspondence should also have the doctor’s emergency contact information and the name and number of a local physician who’s aware of the situation. In a perfect world, mobility-impaired individuals would show up at airports or hotels and all their needs would be met. But we don’t live in a perfect world. Many times, there’s a choice between complaining about the situation later or handling it proactively. The latter usually works best. Do more than just mention the situation when you make the reservation. Be very specific about your condition and your needs. Do not minimize either one of them and do not use specialized language or acronyms that many people do not understand. Use email or written confirmation if possible and voice verify the arrangements a day or two before you arrive at the facility. Most airlines are very good about giving mobility-impaired individuals extra time to board and deplane. They’re also very good at ensuring that wheelchair passengers are the first ones on and first ones off. However, multiple connecting flights are often a hassle that’s just not worth it. There are always exceptions, most notably if a direct flight would be very long and you have extreme difficulty navigating to an airplane’s restroom and back. If you do use connecting flights, allow at least an hour and a half, and maybe two hours, to get from one gate to the other. Murphy’s Law isn’t necessarily a bad thing. If you always assume that something will go wrong, you are at least prepared. That’s especially true with regard to rollators, walkers, and wheelchairs. Bring spare parts and tools. Furthermore, many airlines will ask individuals to dismantle these instruments in flight, so be prepared for that. Once you reach your destination, be sure there is suitable transportation waiting for you. If that means a hotel shuttle, be sure the driver knows what to expect. First class has a lot more room than coach. For some people, that’s just a luxury, but in some cases, it’s almost a necessity. Furthermore, upgrading to a lounge will make those airport waits a lot more bearable. In some cases, the airline might be willing to upgrade you at a lower cost. Remember, you never get anything unless you ask. The flight to and from that tropical locale or warm, sandy beach may be what you remember more than the vacation itself. So, take a few minutes to ensure that your transportation is as seamless as possible and be prepared for some bumps in the road. Major illness can occur at any time. A heart attack, a stroke, a big operation, perhaps. Or maybe you have been involved in an accident – a vehicle crash or falling from a horse. There are a lot of ways and reasons for the human body to be damaged. In many cases, you can go back to living a full and happy life even if you have had serious trauma happen to you. However, it will be hard work. There are some important things you should do to try and regain your strength and mobility. Here are some of them. A positive mental attitude is one of the most important elements of getting better after a major accident or illness. If you feel sorry for yourself, you are actively encouraging your body and mind to remain in a negative state. Don’t let other people pity you either. There is nothing to pity. It is a shame that a bad thing happened, but that’s over now. It’s time to look to the future with a positive outlook. Believe that you will feel more like your old self again and you will. Don’t believe it and you won’t. It’s a simple process. Of course, that doesn’t mean that you should not let your emotions out; a rant now and then is good for you as long as you pick yourself up again afterward. Plus, allowing friends and family to help take care of you is important too; don’t start thinking you can do this alone just yet. Let them help you, and you will heal faster. For many people recovering from a major illness, staying in and hiding from the world is their preferred option. They don’t want other people to see them in their ‘weakened state’. It’s understandable, but it’s not good for you. It’s essential that you get out into the world as soon as you are able. Breathe in the fresh air as it is good for you body and your mind. You don’t have to do too much; a quick stroll around the block or to the local park and back is fine. It’s just important to get outside, away from the comforting surroundings of your home, and experience the real world again. Once you’ve had a taste, you’ll want to keep trying it, and that’s good for you. Try to make your journey outside longer each time you go, and this will help to strengthen tired muscles and brighten weary minds. As you recover, it’s crucial to keep your mind active as well as your body. In fact, having a healthy brain is one of the most important steps to having a healthy body. If you can’t go outside just yet, then try doing puzzles like crosswords, word searches, sudoku, and other ‘brain training’ games. You can do these on paper or online. You can even read murder mysteries and try to work out who the killer is – write your theories in a notebook as you go and figure it out before you get to the end. If you are up to leaving the house then why not try an escape game with friends? Not only will it get your mind working, but it will get you socializing again, which is hugely important to recovery. As well as puzzles, it’s a good idea to learn new things, particularly if you are not yet active enough to do much in the way of exercise. You can sign up for a class, possibly an online one if you can’t yet leave the house, and learn a new skill such as a language, a musical instrument, or artistic techniques. Some courses will let you learn at your own pace, which can fit in perfectly with your recovery schedule too. If you can leave your home and attend a class, you will meet people who enjoy the same things as you, and this kind of stimulation can boost your recovery after illness or trauma too. It goes without saying that if you have had a traumatic accident and your limbs, back, neck or muscles were damaged, then you will need to do specific exercises to strengthen those areas once they have healed. They will be weak from disuse, particularly if it has taken you a long time to recover. Understand that you may need to push your body further than it feels you can go to get results, but that you should also be careful; go too far, and you might find yourself needing to spend more time recovering and less time exercising, which is not the point at all. If you are under the care of a physiotherapist, it is important to do as they say as they are the experts. If you don’t have a physiotherapist, then you may wish to consider hiring one because you’ll then know that what you are doing is making a difference and not causing you additional harm. Trying to get back into a normal sleeping pattern routine is another important element of recovery. It’s a simple step to regain normality in life, and it will help you both physically and mentally as well. At first, you might be tired because of it, but if you set yourself a bedtime and a specific number of hours of sleep then eventually that pattern will become a habit, and your body will get used to it. Even if you are tired earlier in the evening, try to stretch bedtime out to a more usual time. It might be earlier than you are used to, but that’s fine; you still need to recover after all. Once you arrange your sleeping patterns, your circadian rhythm will start to get back to normal, which will make the rest of your recovery go much more smoothly. Finally, whatever you do, listen to what your medical experts tell you. They know the best ways for your body and mind to recover after something traumatic has happened, and they have your best interests in mind when they give you a list of instructions. It may not be what you want to do, but it’s important to do it anyway if you want to have the best chance of a speedy recovery. People are introduced to drugs at different phases in their life. For some, it may have been friends in high school, for others, it may have been at a college party, while for someone else it could have been a response to personal challenges. While some people try drugs or alcohol and eventually stop using it for various reasons, others, unfortunately gradually become addicts. Once addicted, it can be an extremely difficult task to break the addiction and can cause a great amount of damage if not quickly dealt with. There are several signs to look out for if yourself or anyone you know is struggling with substance abuse. This article will mention a number of them as well as what to do in order to break the addiction. When you take drugs, a rush of a neurotransmitter called dopamine goes to the brain. It then triggers feelings of pleasure which the brain remembers and then wants to feel repeatedly because the part of the brain that regulates movement, emotions, motivation, and pleasure is overstimulated. The craving can then become uncontrollable which is when it often begins to affect other areas of your life negatively. It is often because satisfying the craving becomes a number one priority. It is believed that there isn’t truly a defining moment in which using drugs or alcohol crosses over to becoming an addiction. However, there are definitely common and noticeable signs of addiction which will be mentioned below. One of the most common signs of addiction is said to be withdrawal. Once substance abuse begins, feelings of guilt, fear, and shame can begin taking over which can cause an abuser to hide and withdraw. They may not want friends or family to see the number of drugs or alcohol they are consuming, so resort to hiding and using in secret. It is one of many ways which addiction can spiral out of control as it becomes harder for people to notice. Following on from the first sign, withdrawal can cause issues in relationships. It could be because friends and family don't hear from you like they usually do, or because you’re standing people up and avoiding contact with them. On the other hand, it could also be a result of them suspecting that there is a substance abuse problem and them becoming increasingly frustrated with the behavior that ensues as a result. Substance abuse can also cause the abuser to become physical and verbally abusive, behave irrationally, or become completely withdrawn altogether. Seeing as drug or alcohol abuse can affect the brain, it is one of many ways it can cause challenges at work or school. The user may find it difficult to pay attention and concentrate and may also find themselves making more mistakes than usual. Additionally, they may even begin missing days and stop going altogether. It could create a series of issues with management and colleagues as well as concern for the cause of the unusual behavior. If issues in the workplace escalate it could also result in being suspended or dismissed which could trigger greater substance abuse. Before it gets to this point, however, it’s worth trying to seek professional help by visiting a recovery facility such as The Recovery Village Ridgefield. Financing an addiction can be extremely expensive. It can cause an abuser to go to any lengths to find money to feed their addiction. It could mean spending all of their income, dipping into their savings pot, selling their assets, and even stealing and borrowing from others. This also means that many important bills could end up being left unpaid which could result in the loss of their home as well as a large amount of debt. If it seems you or someone you love no longer has control over their finances, then this is a sign that addiction could be taking over. Substance abuse can cause noticeable physical changes. These could include bloodshot or glassy eyes, a runny nose, the loss or gain of weight, bags under the eyes, looking extremely untidy, dilated or constricted pupils, as well as bruises or infections on the skin near the site of entry. You may also notice in terms of substance intake, that the amount which is being used is increasing in quantity. It is because the more that you abuse the drug, the higher tolerance your body has for that drug. Increased quantities are then needed to achieve the previous effects or higher, which can be the source of the addiction. Increasing intake is also often one of many things that can lead to a substance overdose. If one or more of these signs seem familiar to you, it could indicate that you or someone you know is struggling with addiction. It can be a difficult thing to come to terms with for several reasons, however, the sooner it is accepted and addressed the better. For one, once it is addressed, the road to recovery is more likely to happen which means that the user can get their life back. 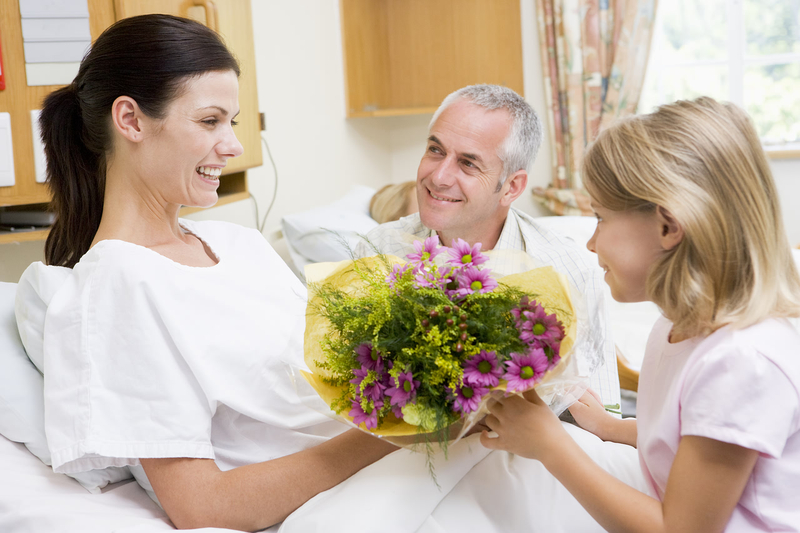 It will also bring peace of mind to family and friends knowing that the person they love is getting better. If addiction isn’t controlled, it could destroy many lives and lead to serious health issues and death in extreme cases. Treatment centers which address the individual’s needs, offer behavior therapy, medication, and constant assessment may, therefore, be the best way to manage an addiction. 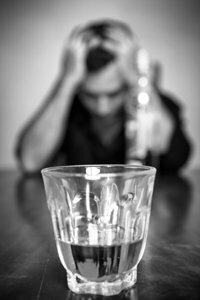 The repeated use of drugs or alcohol can be detrimental to an abuser’s health. It can affect the way the brain works, cause other serious health issues, and if not well handled, resulting in death. Also, along the way, it can cause emotional damage to family and friends. It is, therefore, important to pay attention to the signs and seek help as soon as possible. By doing so, you could save yourself or your loved one a lot of heartaches and perhaps even their life. Staying healthy is a worthy pursuit, no matter one's age. But for many seniors, living on their own and staying out of a care facility is the goal they strive for. Sound familiar? Are you among those who want to enjoy their independent living accommodations for as long as possible? Here are the mindsets and actions you can take that will help you stay independent, even as the years pass. Just because you have a youthful outlook doesn't mean that you are physically capable of everything you could do when in your twenties. Believing that you have physically remained unchanged could be literally setting you up for a fall. And, according to the CDC, falls are one of the number one causes of injury and death in older individuals. While you do not want to place limiting beliefs on yourself that could curb your potential, it pays to be realistic. Having a firm grasp of reality will help you work within your capability and not do something to threaten your future mobility. In some cases, this could mean turning to a home care agency to help with certain tasks. In other situations, it might mean lowering the intensity of your gym sessions to keep your heart rate in check. Counsel with a doctor and be open to their suggestions. 2. Keep your brain agile. Mental decline is common for seniors, but it is not a given. There are ways you can keep your brain young. Harvard Health Publishing lists 12 actions that could prevent cognitive impairment. They cite mental stimulation at the very top of their list. Why? When you engage in activities that stimulate the brain, your brain continues to form new connections. This action and its results can go on to prevent future brain cell loss. What does that mean for you? Anything that keeps your brain on its mental toes gets two thumbs up from your doctor. But you need not only turn to crossword puzzles and sudoku. Aerobic exercise provides the brain with the oxygen and nutrients it needs to perform at its best. 3. Have a network - and use it. Do your children live close by? If not, do you have friends or a network you can call when needed? Do you talk with your neighbors? Do you have friends over weekly? Your friends and those in your reading club are all part of your social circle, but they are also your network. Take a moment to consider if you have someone you can call within your circle of friends if you needed a ride to a hospital immediately. What if you suspect you were a victim of fraud--who would you call? The network of people in your phonebook can act as a support system for you. Not only that, they can keep tabs on how you are doing emotionally and physically. If no one immediately springs to mind, consider boosting your social circle or signing up for a support group. Researchers reviewed 80 studies and found that optimism had a marked impact on one's health. The studies covered a wide range of health situations and outcomes, including longevity. Their findings? A positive attitude can provide a physical boost. How can you cultivate more optimism in your life? Try gratitude as a path that can lead you toward a brighter outlook. Start or end your day with an acknowledgement of everything that you are thankful for. And you just might be surprised by all the added benefits that accrue due to this shift in thinking. 5. Stay active in ways you enjoy. If you don't use it, you lose it. The saying is doubly true for seniors desiring to stay independent. Exercise is one of the best ways to prolong your independent lifestyle. Check with your doctor before beginning any exercise program, and then stay moving. If you have tried to stay active in the past but have failed, consider a moderate approach. Look for ways to engage in an enjoyable activity that will also have you moving about. Make mall walking dates with your friends. Making exercise a social activity can help get you out the door when you are feeling like staying on the couch. Be careful to not over do it. It's better to start off slow and safe then hurry toward an injury which gets harder to recover from as you advance in years. One of the popular methods of fat removal includes laser liposuction. There were traditional methods in place prior to the invention of the laser liposuction procedure. Thanks to the popularity, the procedure has become safer and more reliable. If you’re thinking about having a laser liposuction cosmetic procedure, here’s what you need to know about the pros and cons. • FDA Approval - The procedure has been approved for use by the FDA. Therefore, it is considered safe for patients who are minimally overweight and looking to have some fat removed from their bodies. Of course, that doesn’t mean that there are no risks involved entirely. However, the approval means that the risks have been assessed and concluded to be inconsequential or minimal. It also means that the analysis and testing of the procedure has been done thoroughly to allow public usage. • Less Scarring - Laser liposuction has been introduced in the cosmetic surgical niche since the traditional liposuction procedures always caused excessive scarring. The procedure reduces scarring and the results are less disappointing to the patient. The incision is only large enough to accommodate the laser used during the procedure thus it is not a standard incision. Therefore, regardless of the amount of scarring, it will definitely not interfere with the overall appearance. • Minimally Invasive - Since the procedure doesn’t use the standard surgical techniques, it is considered minimally invasive. In any surgical procedure, there should be general anesthesia which comes with its own risks. However, laser liposuction uses localized anesthesia where the only area being treated is numbed. Therefore, all the risks associated with general anesthesia are completely removed from the equation. • No Downtime - If you undergo traditional liposuction, you need general anesthesia, hospital admission and 2 or 3 weeks of downtime after the procedure with limited activity. Thanks to laser liposuction, you can resume normal activities within hours. Since local anesthesia is used, the patient will be alert and awake during the procedure. Also, there’s no hospital admission necessary since the procedure is not invasive. Patients are also not limited to activities once the procedure completed. • Costly - Just like any cosmetic procedure, you should prepare yourself for the cost associated with laser liposuction. Although it’s considerably cheaper than traditional liposuction, it is still costly and most insurance providers will not cover it. You should expect to pay a considerable amount for it but the overall cost is determined by various factors such as where on the body the procedure is being performed, the amount of fat removed, the underlying health conditions and where in the world you’re getting it done. For instance, laser liposuction of the upper abdomen is costly than the lower abdomen. • Burning Sensation - Most of the patients who have undergone the procedure often report a burning sensation once it’s completed. It is a painful feeling and can be worse if the procedure is done on a large area of the body since the laser tool will be applied for longer periods. However, most of the cosmetic surgeons will provide you with medications and ointments that prevent this feeling depending on the degree of pain. In conclusion, laser liposuction is one of the answers that many people are looking for in the cosmetic surgery niche. If you have been looking for effortless ways to lose some fat in specific areas of your body, you can enjoy the benefits of choosing this procedure. Smoking is a terrible habit and also extremely bad for your health. Quitting could be one of the best things you ever did and here are some tips on doing so. 1. Make a Plan to Quit. If you fail to plan, you won’t have the checkpoints and performance indicators that let you know you’re still doing well even when you feel your worst. A plan makes it easier to stay focused on the quest and motivated toward your goals. 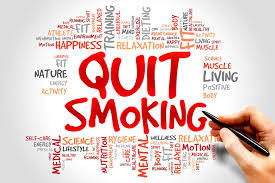 You can create a quit plan for your specific needs or get help coming up with one by contacting a quitline 1-800-QUIT-NOW (1-800-784-8669) or taking advantage of the many apps and other resources available online. Be realistic about your goals and consider slowly easing out of the habit within a given time frame. Nicotine replacement therapy has had many results. Keeping yourself fully occupied is one way that you can keep yourself from falling into older habits. By having your mind focused on some engaging task or activity you can keep your mind too busy to wander off to cravings. Consider getting into anyone of the following activities. --Many people find that vaping helps them quit and it tastes good. Check out this Grape Reds Apple eJuice. Be sure you take your progress slowly and one day at a time. The progress you build today will make your efforts tomorrow all the easier. There will be certain elements of your environment, people you know and even certain situations that will set off your urges and impulses to light up. The best way to begin your new life is to eliminate all the triggers you can. People and neighbors can’t simply be eliminated, but you can begin by throwing out all the ash trays, lighters and cigarettes that you have in your environment. --Caffeine can make you feel jittery and goes well with a smoke so it is better to steer clear of both. --Spend more time with non-smokers and those that will be considerate of your efforts. --Get plenty of rest and focus on maintaining a healthy diet during the transition. -- Change out elements of your routine that urge you to smoke. Quitting smoking will be no easy feat. There are many urges and impulses to control as well as an entire lifetime to look forward to. But you must keep your focus on the moment and keep positive at all times. Your first day will be tough, but make the commitment to not smoke at all, not even a single puff. Then be sure that you give yourself a pat on the back and a special detail that reminds you of your accomplishment. Don’t be discouraged if you end up smoking a few days later. You can totally ease your way out of smoking with a plan that is exact for you. Just get up and try again, soon you will find your resistance is building.